The World Series of Poker announced yesterday that 12 more players have been confirmed for the BIG ONE for ONE DROP event that is set to take place in early July at the World Series of Poker. The BIG ONE for ONE DROP has the largest buy-in of any poker tournament ever, as it will cost players $1,000,000 to buy in. $111,111 of each buy-in will be donated to ONE DROP, while the rest of the money will go directly into the prize pool. According to tournament organizers, the prize pool is expected to exceed $35,000,000, with the eventual winner of the event taking home over $10 million. There will be a 48 player cap for this event. As of mid-April, 30 players, including the likes of Daniel Negreanu, Johnny Chan and Tom Dwan, had been confirmed for the event. One name that has not confirmed their participation in the event as of yet - Phil Ivey. 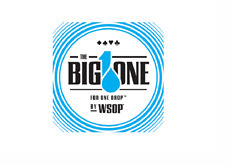 The BIG ONE for ONE DROP will take place from July 1-3 at the Rio and will be broadcast on ESPN.